1Biomedical Department, Faculty of Medicine, Mahasarakham University, Mahasarakham, THAILAND. 2Clinical Epidemiology Unit, Faculty of Medicine, Mahasarakham University, Mahasarakham, THAILAND. Oxidative stress can induce vascular endothelial dysfunction in diabetic and hyperlipidemia patients. Leucaena leucocephala (Lam.) de Wit has been reported of possessing antioxidant, antidiabetic and anticholiesterase activity; as well as the toxic substance called mimosine. Aims: To determine antioxidant effects of Leucaena leucocephala (Lam.) de Wit Leave extracts in oxidative stress induced vascular endothelial function. Methods and Material: Leave extracts were determined for antioxidant activity. 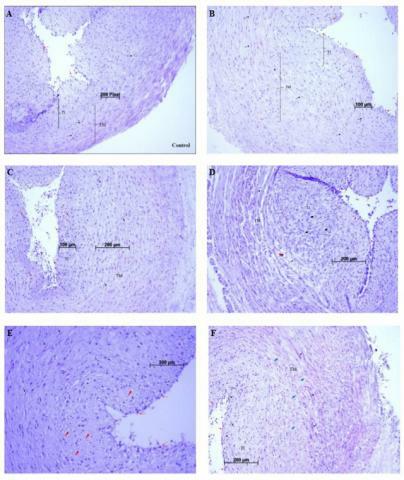 Either or both of oxidized low density lipoprotein (oxLDL) and glucose were applied to induce oxidative stress condition in human umbilical vein cultured (HUVCs) to observe superoxide dismutase (SOD) activity, nitric oxide (NO) level and morphological changes. Results: Total polyphenol and flavonoid were 51.04 ± 0.91 mg GAE/g and 0.13 ± 0.01 mg catechin/g of dried weight (DW), respectively. Free radical reduction efficiency of crude extract observed by 1,1-diphenyl-2-picrylhydrazyl (DPPH) assay showed IC50 value of 329.6 μg of vitamin C equivalent/mg of extracts. Frap value was showed 428.54 ± 15.32 mM FeII equivalent/g of DW. The result observing in HUVCs showed that comparing to the control, SOD activity, NO and MDA level were maintained in 0.05 mg/mL of L. leucocephala treated group, but NO and MDA level were lowered when comparing with oxLDL and glucose-induced oxidative stress. No change was observed in 0.05 mg/mL of L. leucocephala treated group, comparing with control group. Conclusion: This study has been performed to exhibit the antioxidant activity of L. leucocephala in endothelium functions and has been found to have an appropriate concentration at 0.05 mg/mL in reducing oxidative stress condition in impaired fasting blood glucose patients. Nevertheless, the optimal level for toxic activity in inhibition of cancer angiogenesis should be further investigated. Keywords:antioxidant activity, De Wit, Leucaena leucocephala (Lam. ), Nitric oxide, Superoxide dismutase, Vascular endothelial. Chatchanayuenyong R, Sujayanont P, Vuttivirojana A. Effects of Leucaena leucocephala (Lam.) de Wit Leaves Extracts in Culture of Human Umbilical Vein Cells. Pharmacognosy Journal. 2018;10(1):148-153.